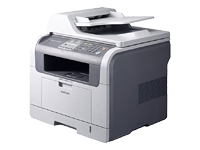 Samsung SCX-5530FN Network-Ready Laser Multifunction Machine Fast print and copy speeds up to 30 ppm/cpm. A fast 33.6 Kbps fax modem. And color scanning at up to 4800 dpi enhanced resolution. With the SCX-5530FN, just scan documents with the printer, and save directly onto the USB memory device. You can share and transport data without the use of a PC in various formats such as PDF, JPEG, TIFF, and BMP -- ideal for small businesses or educational institutions such as libraries, schools and colleges, or any other non-networked location. This feature allows you to take data saved in your USB memory, plug directly into the USB slot of the printer, and make your printouts directly. You can share and transport data without the use of a PC in various formats such as PDF, JPEG, TIFF, BMP, and PRN. The powerful Scan to Email feature allows you to choose recipients from your address book and email documents directly from your printer. Time-saving Scan Once, Distribute Many feature lets you send to multiple recipients, both mono and colour documents, with choice of PDF, JPEG or TIFF files. its the Scan to Network feature-is extremely useful when hard copies must be distributed across a networked environment, emailed, or simply saved to your PC in various formats such as JPG, PDF and TIFF. The SyncThru Web Admin Service is the web-based management tool for configuring and monitoring Samsung network printers and other SNMP (Simple Network Management Protocol) compliant printers. Manage all the printers on your network without ever leaving your desk. This LAN-connected feature accessed by web brower provides administrators with the ability to change machine and network settings, upgrade firmware and view network printer status with remarkable ease. Remote configuration and status monitoring across the LAN make for highly responsive IT management. 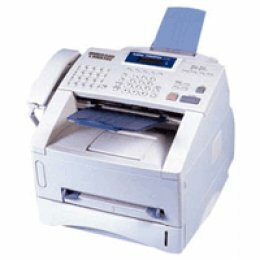 The SCX-5530FN is the worlds fastest multi-functional printer with Fax and Duplex setting. With speeds of 28 pages per minute, 20 images per minute and 20 copies per minute, this printer can print and copy text and images side-by-side on both the long and short edge. Samsungs SmarThru 4 is a powerful image and distribution application that allows for utmost versatility and a wide range of document management solutions. This printer features a Status Pop-up that covers all your troubleshooting needs in one easy-to-read panel. Here you can find your printer and driver settings, toner information, Power Save mode, and general troubleshooting guide. No worries, just check with the Status Pop-up. Multi-purpose tray carries full industry standard of 50 pages, with 250 pages in the main cassette and an additional 250 in a second cassette. Full industry standard of 550 pages saves restocking and maintenance time.